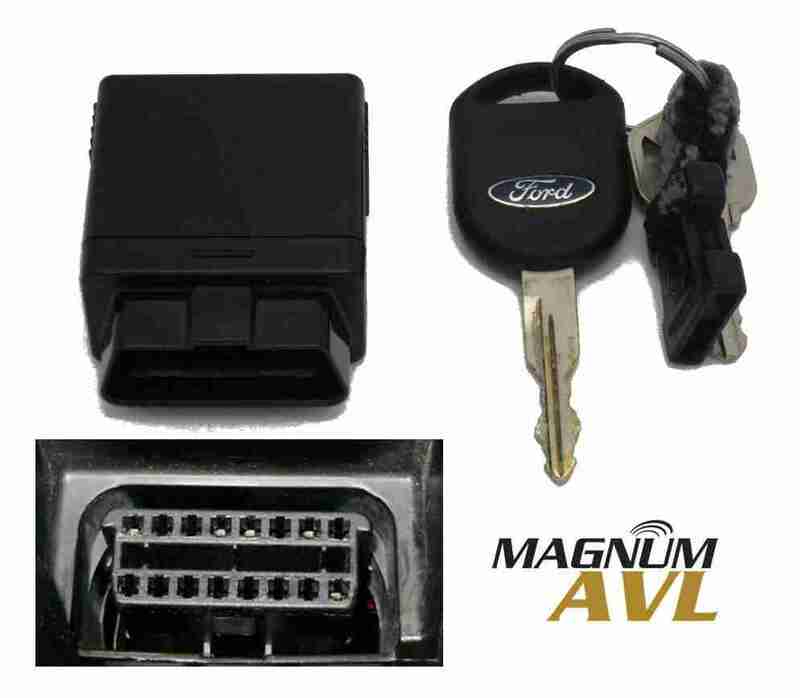 fleet management | Magnum Electronics, Inc. The International Fuel Tax Agreement (IFTA) requires fleet owners with vehicles over 26,000 lbs. to file a quarterly report documenting mileage for each state jurisdiction. Detailed distance data that shows operations with individual vehicle mileage records (IVMR) must be maintained for at least 4 years in case of a state audit. 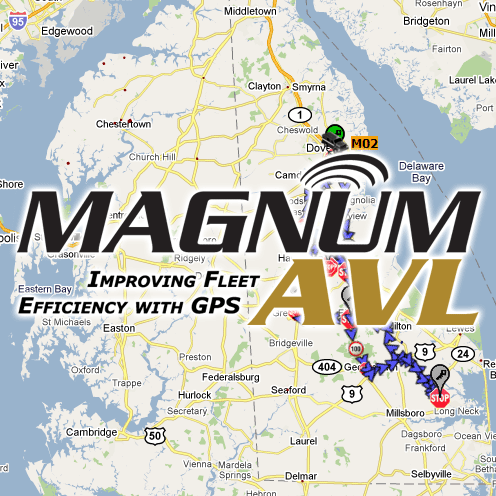 Magnum AVL fleet management has 20+ web based reports that can be viewed on your computer, exported in csv format to Excel, or saved and printed as a .pdf file. Two of the reports help with IFTA reporting. The “State Distance” report captures mileage by state for each vehicle, group, or your entire fleet. 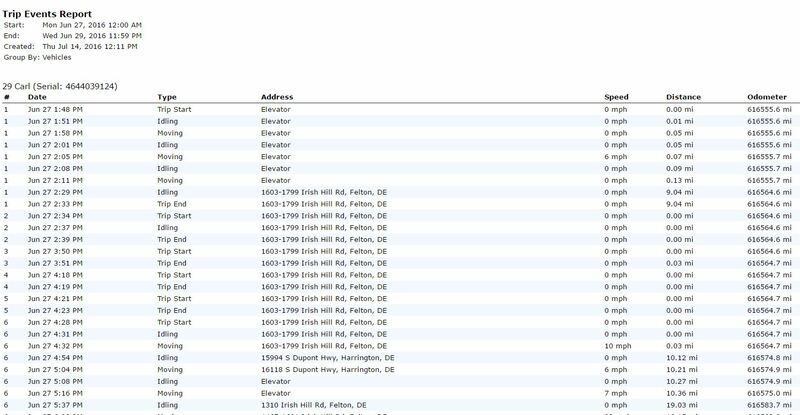 If only some of your vehicles require IFTA reports, we recommend you set up a group in Magnum AVL for simpler reporting. Choose any time frame during the previous 12 months or set it up to automatically email the report to your tax accountant. Many GPS fleet tracking systems provide state mileage reports but that is not enough information if you receive an audit letter from your state. Trip origin, destination, AND route of travel is also a requirement. The Trip Events Report should provide the needed info. 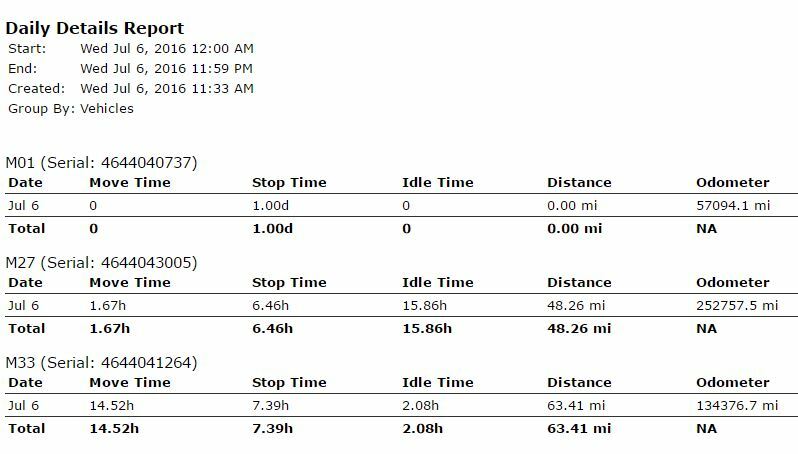 The Trip Events Report is a powerful report that can take several minutes depending on your fleet size and the time period requested. We recommend you choose to email the report and not wait for it online. You should email the reports to a secure server or backup your data so it is available in case of an audit. Magnum AVL server data is guaranteed to be available for report generation for 18 months. 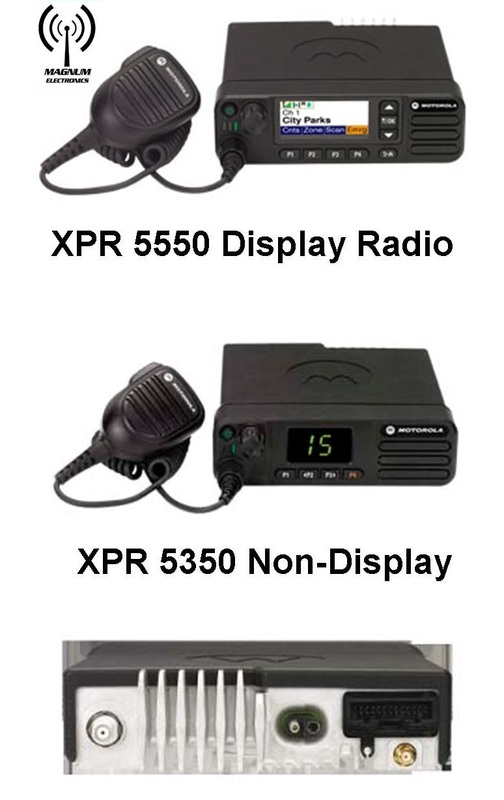 One of the new mobile radio accessories that got our attention at IWCE this year was a magnetic palm microphone holder. It replaces the standard clip used by Motorola, Vertex Standard, Harris, Kenwood, Icom, and others. 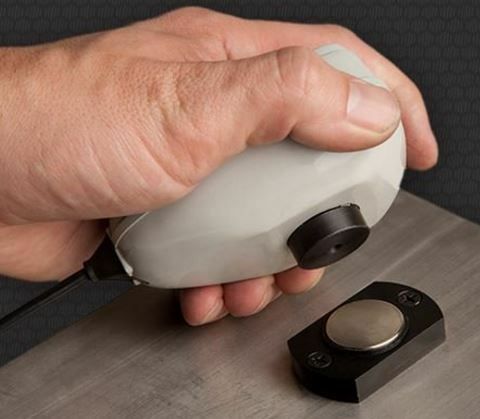 The powerful magnet pulls the palm microphone toward the base and supports scan, DPL, tone coded squelch, etc. 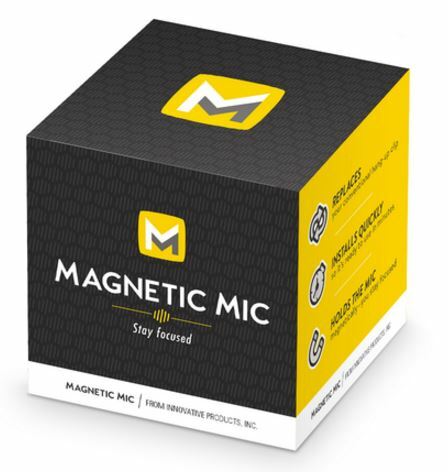 The MMSU-1 Magnetic Mic Holder from Innovative Products in Knoxville, TN comes individually boxed. Everything you need is in the box including stainless steel screws, stainless lock nuts, grounding screw, instructions, and hex wrench. There is also a discounted MMBP-25 bulk pack for fleet upgrades. Police, fire, and ems drivers will keep their eyes on the road responding to emergencies. All fleet owners will benefit from decreased driver distraction and improved safety. The magnetic mic holder is a nice addition for the Astron integrated base station power supplies too. 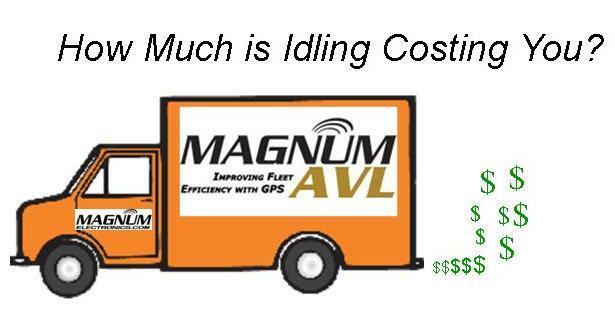 GPS device technology has improved significantly since our Magnum AVL fleet management products were introduced in 2010. Cellular tower infrastructure changes require the replacement of some older trackers this year. We feel now is a good time to upgrade our product offering with new software features, faster updates, and the latest state-of-the-art hardware. All of our new GPS devices have a backup battery that provides continuous tracking for almost an hour if power is lost. It will also show disconnect and reconnect alerts along with location data while unplugged. The new units also provide alerts for hard braking, acceleration, and direction changes. Our new units update every 60 seconds plus every direction change providing significantly more data and improved accuracy. Alerts tied to exceeding posted speed of the road are now standard. Our new trackers use the Verizon Wireless network exclusively. Another improvement is a lifetime warranty on the tracker (except the backup battery) as long as the unit’s service plan is current. Our new hardware is compatible with future driver log requirements, plug-in ECM cables, and other planned software enhancements. We will continue to offer a choice of trackers depending on your requirements. Our 700-­3W is wired to 12V DC, ground, and ignition. 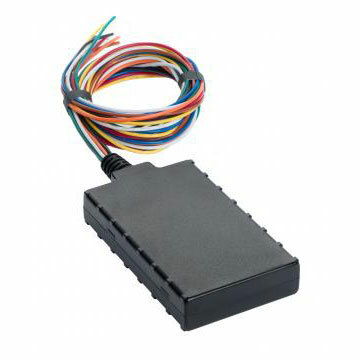 The wiring harness is compatible with 90% of our existing trackers for easy replacement. It has internal antennas, PTO sensor inputs, and the capability for future enhancements. 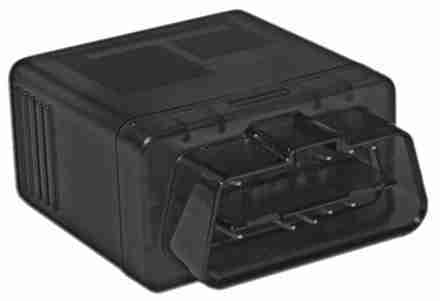 Our new 165-­PNP plugs into the OBD­-II port under the steering wheel of most cars, vans, and pickup trucks. It requires no installation and can be moved easily. 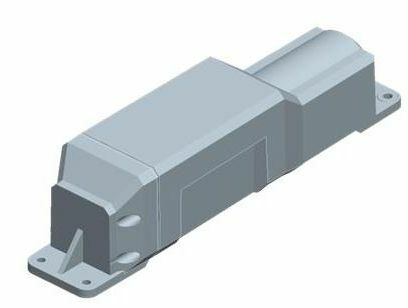 For permanent installations an optional Y cable is available that hides the unit in the dashboard and provides an open OBD-­II port for service. For special applications we have GPS devices that track bobcats, pavers, trailers, and other equipment with a 12V DC power source. These units track less frequently ­- 10 or 30 minute updates when moving or daily when stationary. Battery backup will alert and track if stolen. We also have battery powered trackers that update every 12 hours for assets without a power source. The Amazon Cloud based user interface has been upgraded to provide advanced features and more alerts. All desktop functions can now be done from your smartphone. We continue to use Google Maps with satellite, traffic, and street views. Maps are easy to customize with landmarks, geofences, and custom icons. 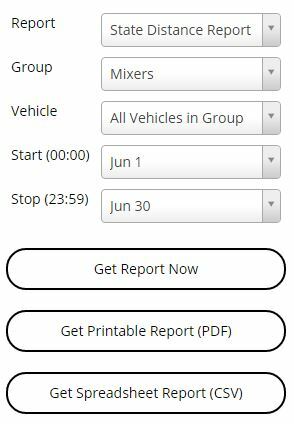 Our software generates 20+ management reports for vehicles, groups, or your entire fleet. State mileage reports for IFTA class vehicles are supported. Our data is stored in the cloud for 12 months for easy access. 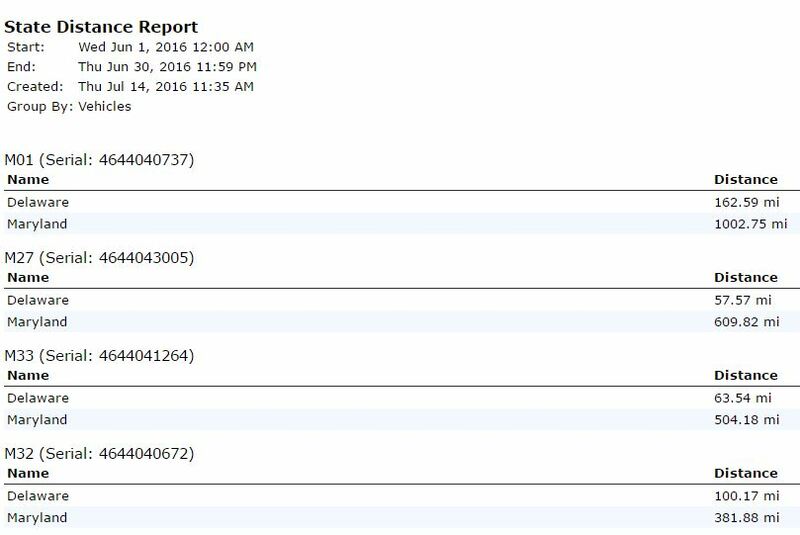 All reports can be automatically generated and emailed to multiple recipients. You can print reports, download to a spreadsheet, or save to a .pdf file. Our 1­ minute update service plan is priced at $19.95 per month per vehicle. This is almost half the price of our competitors and we do not require a long term contract. We also offer a seasonal suspend plan to help with cash flow when not working. Our lower cost 10 and 30 minute update service plans are available for our 460-EQ asset and 360-TT trailer trackers. Accountabilty of bobcats, pavers, and other job site equipment is easy when they are on the same map as your vehicles. For mobile assets without a power our 660-BAT battery-operated tracker will update every 12 hours. The new enhanced hardware is not compatible with our existing legacy software. Magnum AVL customers and competitive users with a current contract qualify for FREE or discounted hardware pricing. Most customers will get faster updates at a reduced monthly fee by upgrading their devices. 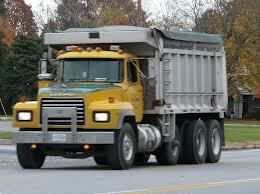 We also have a 6 month rental program if you want to try GPS fleet management without a long term commitment. For a demonstration or if you have additional questions call our office at 302-734-9250 M-F 8-5pm EST or fill out the form below.